As friends and family arrive, we are having a wonderful time reconnecting and laughing. We are off to church in a few hours and then more Christmas celebrations. I am taking time off to spend with family and friends so I wanted to take a moment to wish everyone a Merry Christmas. May the joy of the holidays be with you and your family. Only 4 more days until Christmas. I hope you have all of your shopping done. Mine is finished and wrapped and under the tree. Yeah! We arrived at our other house last night and finished up some last minute decorations. 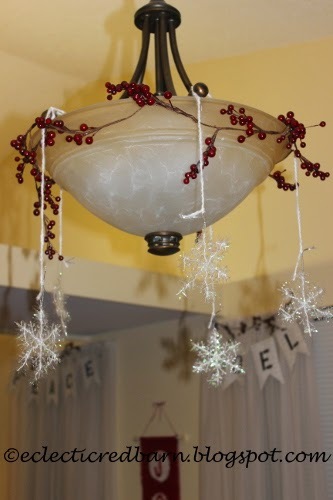 I am sharing another Christmas decoration on the cheap. You saw a sneak peak of it hanging from my wire baskets. I am continuing my Christmas decorating on the cheap at our other home. I made the JOY banner, the book page banners for the windows and now for the dining room light. This was very easy and rather cheap. I saw this light decorated on Pinterest for Christmas and for some reason it stayed with me. So when I had finished my banners, the light looked so plain. I still had some berries left and the light called to me. 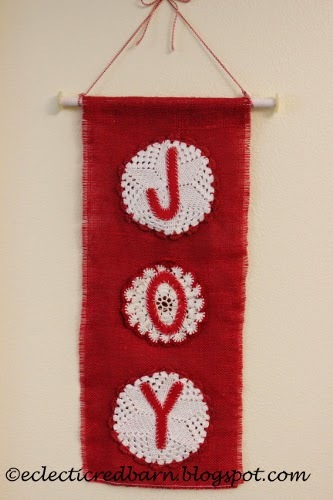 I told you last week about trying to decorate our other home for Christmas on the cheap with my JOY banner made from vintage doilies. 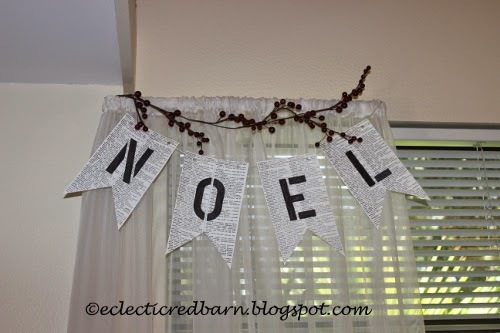 I am here today to show you another idea for Christmas decor - my book page banners. These book page banners are not new since you can find them all over Pinterest. However, when you are trying not to spend too much money on decorations and have old books - they are a perfect fit. In many parts of the country, the hanging baskets have been put away. However, here in Florida, mine stay up all year. Usually this time of year, I don't have potted plants in my baskets since the selection is minimal with holiday flowers in demand. So what to do with those wire baskets? Decorate them of course. Many of you have pine trees where you can get fresh pine, but here not so much or at least not the good kind. I went to Home Depot and they had two carts filled with pine branches that they trimmed off the trees and said I could have all I wanted. Yeah!! Free pine branches are added to wire hanging baskets. Is it my imagination or is December flying by. I guess it is all the excitement of the holidays. So much to do so little time! 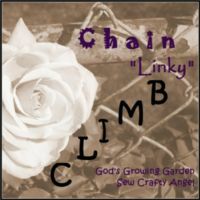 Let's take a little time out today to join this weeks Chain "Linky" CLIMB. I am so excited to be a co-host this week and see all of the fabulous ideas you have been working on. Check out the great prizes below and don't forget to add your family friendly blog posts. Please take a little time to check in with other bloggers to help each other grow their blog. See you in the Climb! We all know that Christmas is a joyous time. The music, shopping, baking, decorating and wrapping presents. Not to mention parties and quests. I love this time of year. However, a slight twist was added. Instead of having Christmas here in Davie, we decided to have it at our home north of Orlando. No problem, until my daughter who is flying in from California said, "are you decorating the house"? Yikes! Both houses? Usually, we just put up outside lights. Now I have to do the inside. I went through some of my decorations to see what I could use up there, since I had already decorated the house here, not much. I decided to make as many decorations as I could. I did not want to buy enough stuff for two homes. So this JOY banner was my first creation. We see ads on TV for Christmas presents for our furry friends and I have to admit that I am guilty of spoiling my pets. You know you have it bad when your husband calls from Italy and asks, "How are the kids?" I hope I am not alone here and that some of you feel the same way about your pets. Although my pets have a special home, many dogs and cats don't. 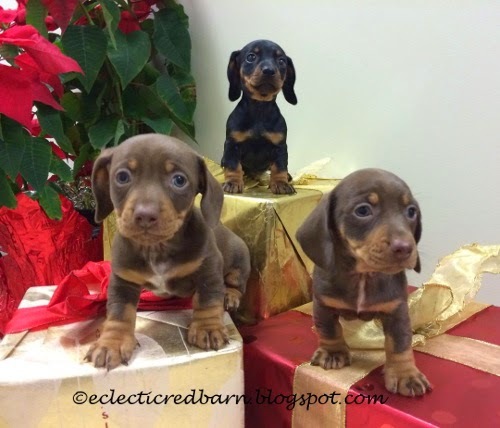 They are abused, stuck in crates in shelters hopeful that they will find their forever home. 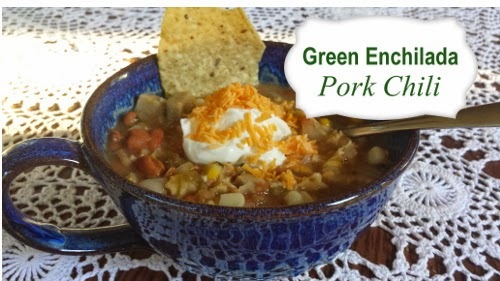 How do you decide if you want to make a particular recipe? Is it the name - decadent chocolate brownies would call my name. Or maybe a picture of a luscious prime rib. I do a little of both.